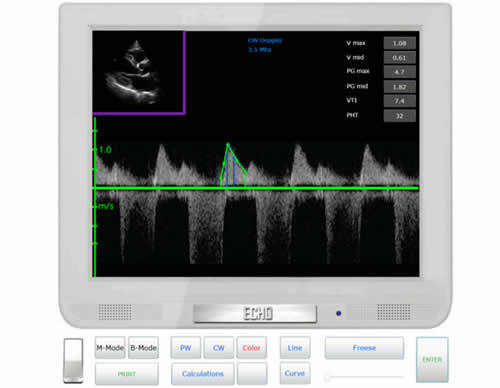 MyEchocardiography is the most advanced Transthoracic Echocardiography online simulator (Transthoracic Echocardiography Virtual system). learn TTE Echocardiography in one week! 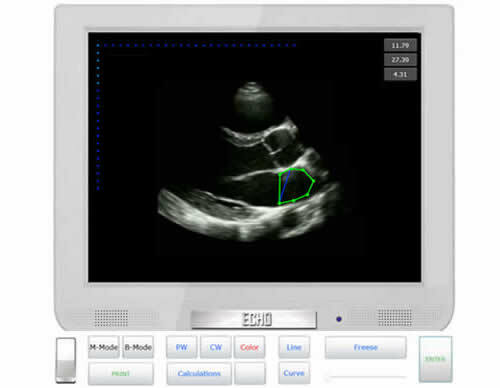 Simulator is designed for medical faculty students and doctors who want to study echocardiography or increase their knowledge. 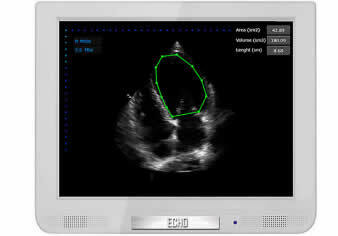 User can Make all general measurements and calculations according guidelines of American Society of echocardiography (ASE). Detailed specifications of the simulator can be found below. LV EF% - Left Ventricle Ejection Fraction (Simpson’s Single Plane, Biplane), LV FS% - Left Ventricle Fractional Shortening, CO - Cardiac Output, SV - Stroke Volume, Cl - Cardiac Index, LV Mass - Left Ventricle Mass, PA pressure - Pulmonary artery pressure. MV Stenosis: MVA Tracing, PISA. PHT, MVA by Continous equestion, PG max. 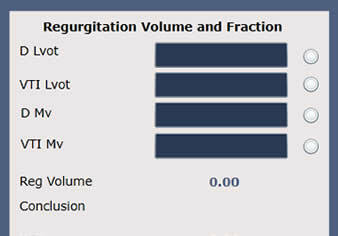 MV Regurgitation: Regurgiration Area, Reg Area / LA area, PISA, Regurgitation volume and fraction (Continous equestion), Vena Contracta. Ao Stenosis: Pic Velosity, PG mid, AVA by Continous equestion. Ao Regurgitation: PHT, D reg / D Lvot, Area reg / CSA Lvot, PISA, Vena Contracta, Regurgitation volume and fraction (Continous equestion). 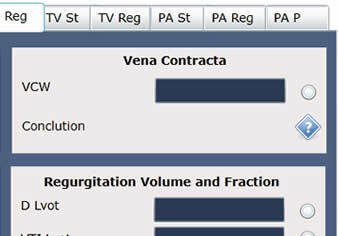 TV stenosis: MG mid, TVA by Continous equestion, PHT. VTI. TV Regurgitation: Regurgitation area, PISA. PA stenosis: Flow velosity, PG systol. 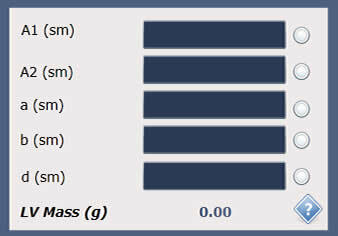 PA Regurgitation: Regurgitation jet size. 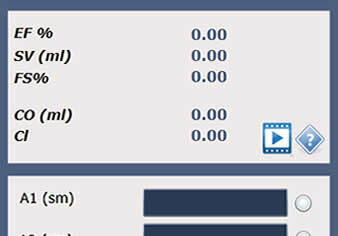 PA preassure measurement: Systol pressure, Diastole pressure, Mid pressure. See more Video tutorials: LV mass, LV Ejection fraction (EF%), Assessment of Aortic regurgitation by PHP, Assessment of Mitral regurgutation by regurgitation area, Assessment of Mitral regurgitation by regurgitation volume and fraction. For simulation please use web browser Microsoft Internet Explorer (and desktop computer), other browsers and mobile devices do not support simulator. For simulation in Google Chrome user will need to install Chrome Extension IE Tab.